The Patient Protection and Affordable Care Act (PPACA), commonly called Obamacare, was signed into law in 2010 and includes reforms aimed at improving healthcare outcomes and streamlining the delivery of health care. Section 3001 of the Affordable Care Act requires CMS to implement a value-based purchasing program (VBP) that rewards health care providers for the quality of care they provide as demonstrated by their “performance or improvement” on measures of care quality. One goal of CAHPS: public reporting of survey results will create incentives for agencies to improve their quality of care. CAHPS results contribute 30% to VBP. How well the home health team gave care in a professional way. How well the home health team communicated well with her/him. How well the home health team discussed medicines, pain, and home safety with her/him. If s/he (the patient) would rate HHA a 9 or 10 on a scale from 0 (lowest) to 10 (highest). 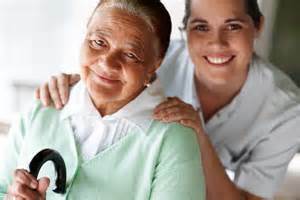 If s/he (the patient) would definitely recommend the home health agency to friends and family. Staff is professional: don’t judge the patient’s environment. Staff concentrates on/identify the patient’s own priorities, not staff priorities. Staff implements careplan to address patient’s priorities. Staff teach patients how to prevent going back into the hospital. Introduce yourself using your first and last name and agency representation. Be respectful: once in the home, ask the patient’s permission to be seated and follow his or her instruction on where to sit. Observe obvious rules in the home (shoes by the door, hang coat, etc). Face the patient. Sit up straight or lean forward slightly to show your attentiveness through body language. Maintain eye contact, to the degree that you all remain comfortable. Minimize external distractions. Turn off the TV. Don't write or type while the patient is speaking. Focus solely on what the patient is saying. Try not to think about what you are going to say next. The conversation will follow a logical flow after the patient makes her point. Minimize internal distractions. If your own thoughts keep horning in, simply let them go and continuously re-focus your attention on the patient, much as you would during meditation. Keep an open mind. Wait until the patient is finished before deciding that you disagree. Try not to make assumptions about what the patient is thinking. Avoid letting the patient know how you handled a similar situation. Unless they specifically ask for advice, assume they just need to talk it out. Provide feedback to the employee.